This sale started on 8th August and was meant for just 3 days, i.e., till 10th August. Check it out for the amazing discounts of various products listed on the site. It is going to end tonight. There are lighting deals, best deals, short time deals and other types of deals available right now. 1.1 How to Get Discounts on Amazon Great Indian Sale August 2016? So, better be prepared and ready with your device (smartphone, PC, tablet, etc.) to have a look at all the fresh deals which are made by Amazon itself. Moreover, you can search by a range of products and that too at unbelievable prices by allowing huge discounts. The deals are for all categories like electronics, home, and kitchen, sports, appliances, clothing for men, women, kids, etc. The shoppers can avail it on all different brands. Additional, you can avail 10% discount using SBI cards. Hurry up until its too late. How to Get Discounts on Amazon Great Indian Sale August 2016? 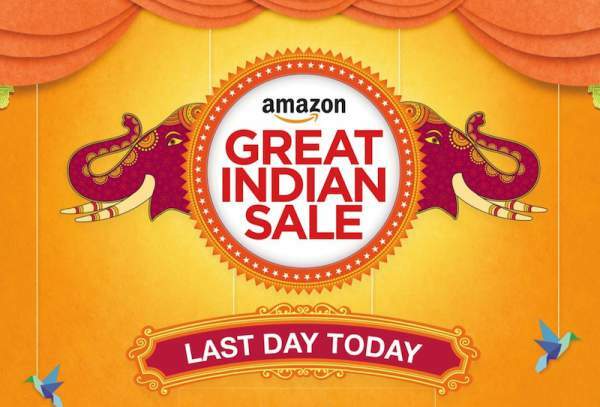 First, go to the Amazon Great Indian Sale Page or click here. Look for the product you want to buy. Now, it’s time to pay using any payment mode available to you. Using SBI debit/credit cards, you can enjoy 10% cashback on Amazon App and 7.5% on Amazon.in website. Amazon – Get Rs 100 Cashback on purchasing of Rs 1000 or more using Amazon Gift Card Balance (During Amazon Great Indian Sale). You can earn up to Rs. 7,000 cash by downloading Niki App. Blockbuster Deals: starts 8:00 am. Stay tuned to The Reporter Times for latest Amazon news and other e-commerce portal sites updates around the world. Don’t forget to share it on social media sites like Facebook, Twitter, Google Plus, etc. to share with other people out there.